Southaven is a city in DeSoto County, Mississippi, United States. It is a suburb of Memphis, Tennessee, and a principal city in the Memphis metropolitan area. The 2010 census reported a population of 48,982, making Southaven the third-largest city in Mississippi and the second most populous suburb of Memphis. Southaven is traversed from north to south by the I-55/I-69 freeway. The city's name derives from the fact that Southaven is located south of Whitehaven, a neighborhood in Memphis. 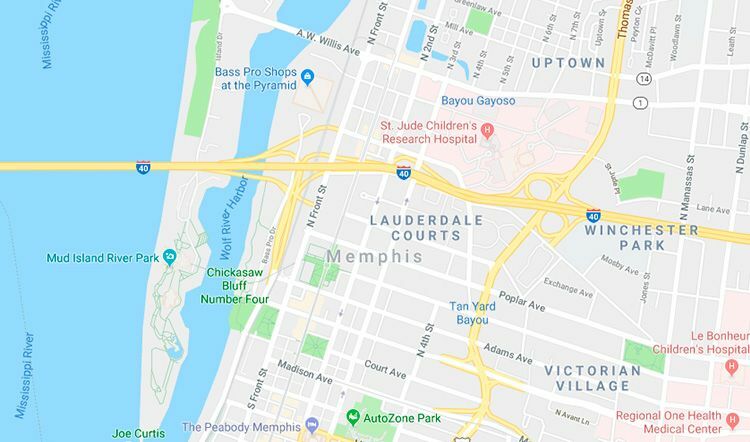 The center of the city is approximately 14 miles (23 km) south of downtown Memphis and 6 miles (10 km) southwest of Memphis International Airport. According to the U.S. Census Bureau, Southaven has a total area of 41.5 square miles (107.6 km²), of which 41.2 square miles (106.8 km²) is land and 0.3 square miles (0.7 km²), or 0.68%, is water. As of the census of 2010, there were 48,982 people and 13,125 families residing in the city. The population density was 1499.9 people per square mile (580/km²). There were 19,101 housing units at an average density of 339.3 per square mile (131.0/km²). There were 19,904 households out of which 37.3% had children under the age of 18 living with them, 50.9% were married couples living together, 16.6% had a female householder with no husband present, and 27.0% were non-families. 21.9% of all households were made up of individuals and 4.8% had someone living alone who was 65 years of age or older. The average household size was 2.71 and the average family size was 3.16.